I wasn’t sure I wanted to get involved in another Lost-like “mystery” show. You know the type; the “mystery” is the central premise of the show and you hope that eventually the show will unravel the “mystery” with some satisfying and clever clues along the way. Certainly the reviews I read warned that this was exactly that type of show. But…I decided to give it a try anyway and based on the first few episodes, it’s better than I thought. The “mystery” is “…Montego Air Flight 828 landed safely after a turbulent but routine flight, the crew and passengers were relieved. Yet in the span of those few hours, the world had aged five years and their friends, families and colleagues, after mourning their loss, had given up hope and moved on. Now, faced with the impossible, they’re all given a second chance. But as their new realities become clear, a deeper mystery unfolds and some of the returned passengers soon realize they may be meant for something greater than…” blah blah blah. Surprisingly, the show is interesting. Besides the usual soap opera drama of people presumed dead for 5 years, they are hearing voices and are having psychic visions. So…what’s up? Assuming there is really a showrunner out there who actually knows what’s going on (instead of faking it week to week) then this could be a good show. Just please don’t “Lost” me. So thumbs up for now. 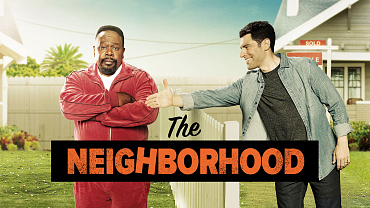 Cedric the Entertainer tries to pull a reverse Archie Bunker in this show about a Midwestern-nice white couple moving into a black neighborhood, disturbing the segregationist Zen of the main character. The over the top curmudgeon Calvin doesn’t really explain his over the top hatred of whites so it’s hard to take the character seriously. He’s simply being played as mean guy who will learn some sort of lesson about togetherness each episode. Meanwhile the white couple, the Johnsons, will learn supposedly some valuable lesson about black people, but are so clueless about…everything, that they first need to learn how to call a plumber when having plumbing problems. In theory, I’m in favor of the reverse-Archie, and think TV needs more shows that can pull it off, like the late lamented The Carmichael Show, which really got the formula down pat. However this show, with it’s ridiculous white family playing the role of clueless whiteys (like Tom Willis from The Jeffersons) gets a thumbs down. Hands down, the dumbest new show of the season. In fact, I tuned in because I couldn’t figure out what the show was about from the promos, and having seen the pilot episode, I get why; it’s too dumb to think they would actually produce a show like this. Damon Wayons, Jr and Amber Stevens West (who manages to bounce around from show to show and land on her feet) star as a couple who has an Australian pop singer move in with them so he can avoid the paparazzi. This show is supposed to be The Golden Girls, only with dudes. Since I never liked The Golden Girls, I’ve no idea if this show succeeds or not, I just know I found it boring. That doesn’t mean the show isn’t going to be a success; after all, The Golden Girls was a massive success. But it does have Vicki Lawrence. So that’s something. Of the new sitcoms, this is one I had the most hope for, mainly because you can’t have enough bickering Indian parents on TV. Sarayu Blue stars as a hurried mom who is “just figuring it out like the rest of us.” In other words, this is a show by women, for women, about women doing it all in a man’s world…you get the drift. Although I’ve bailed, this may have an appeal that I can’t see. Let your own thumb decide.